The day after claiming his 1,000th coaching victory, Duke’s Mike Krzyzewski, battling sniffles, was back at the business of claiming No. 1,001. Or at least talking about it for a few minutes with media jackals. 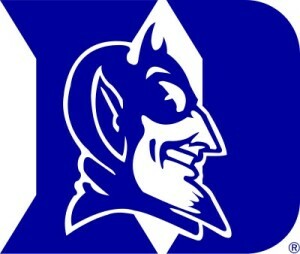 His 17-2 Blue Devils (ranked fourth) play at Notre Dame (No. 8) on Wednesday night, the first top-10 clash on the Irish’s court in 12 years. That little tidbit surprises me some, but that was the word on Monday’s ACC coaches conference call. Well, right away he hopes it means a mentally sharp bunch will win Wednesday before heading to Charlottesville for Saturday’s big tilt with No. 2 and 19-0 Virginia at John Paul Jones Arena. Coach K was benevolent as could be when asked about U.Va.’s Tony Bennett, fluffing him as “one of the truly outstanding coaches in the country.” Hard to argue, considering the Cavaliers are an incredible 49-7 the last two seasons. More platitudes ensued, but you get the drift. My friend David Teel of the Daily Press did draw some insight from Coach K, however, when he quizzed him on whether he thought U.Va.’s suffocating post defense might trouble Duke’s stud freshman big man Jahlil Okafor. Krzyzewski said Okafor, who averages 19 points and nine rebounds, meets collapsing double-teams with unfrosh-like poise, and gave an interesting hint as to why that fans can watch for. Then again, those passes are just pretty pictures if Duke misses an unhealthy share of the open perimeter shots that ensue. The Blue Devils shot 37 percent and 44 percent when they lost back-to-back games this month to North Carolina State and Miami, the latter by a ridiculous, for college hoops, 90-74 score. 90! Truer words were never . . . well, you know. 7 p.m. Saturday. Enjoy the game.